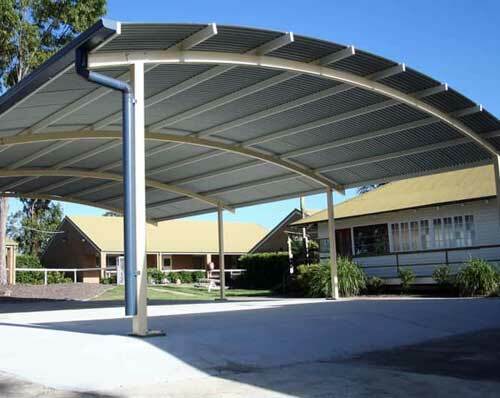 Delivering quality, long life Australian products for over 27 years. Need something custom made? Give us a call and our specialist staff will give you a free quote. 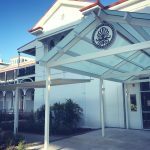 Check our Blog for ideas and recently completed projects! 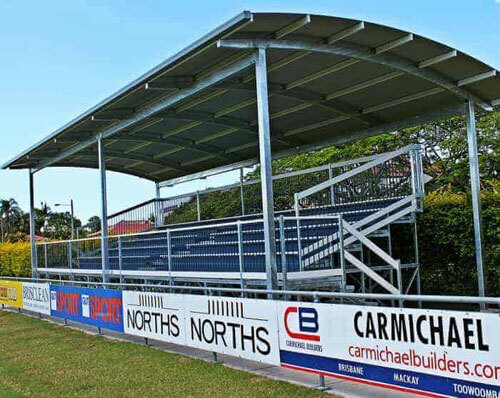 Steel Post and Rail has been delivering quality, long life products like outdoor bench seating, tiered seating, grandstand seating, sports dugout shelters and shade structures for almost 30 years. 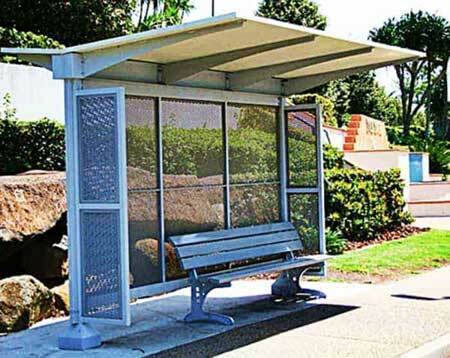 Our unique and proven Locsteel system enables an extensive range of applications. 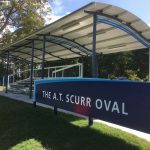 These sections are used in combination with galvanised based mild steel frames and Colorbond® roofing to produce anything from an outdoor bench, covered walkways and bus shelters all the way up to stadium grandstands. 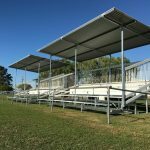 We have long been supplying these applications to schools, universities, sports clubs, councils and government bodies throughout Australia, including supplying structures and seating to the mining sector. 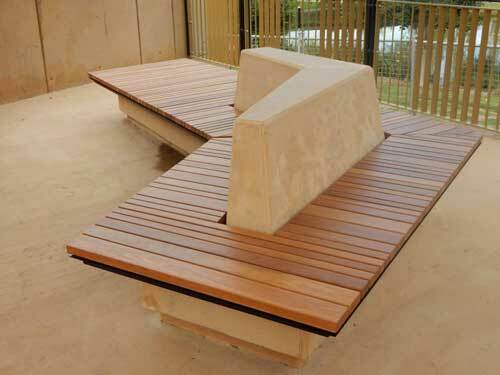 We have even done high profile installations such as grandstand seating for the Commonwealth Games Aquatic Centre. 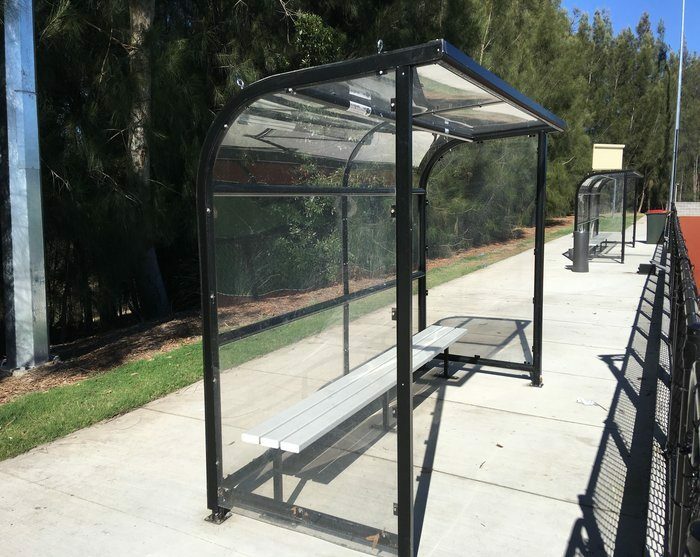 Steel Post and Rail has also supplied bus shelters, crowd control, fencing and sporting equipment for the 2000 Olympic Games training facilities and surrounding areas. 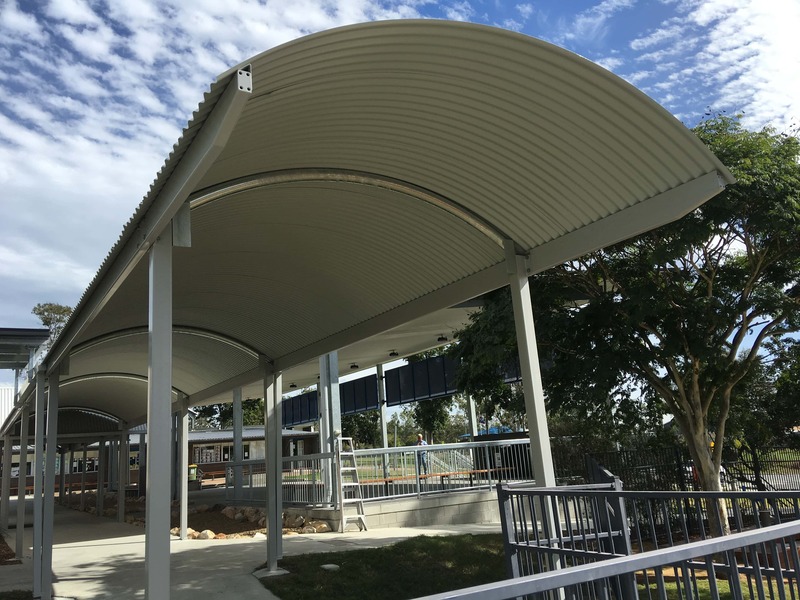 Located in Currumbin on the Gold Coast, we offer products delivered in assembled condition or in kit form, and installation by our personnel is available Australia wide if required. 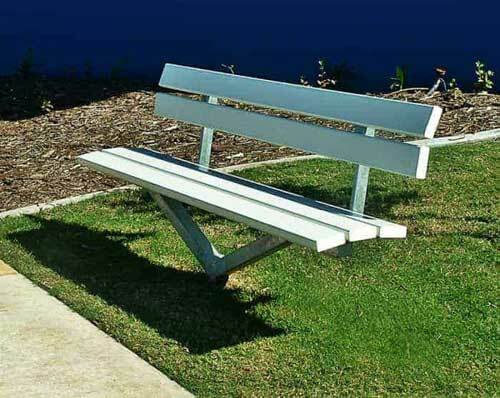 We have developed a range of styles included in this catalogue, however we custom manufacture to suit individual requirements and are happy to work with you on your design. 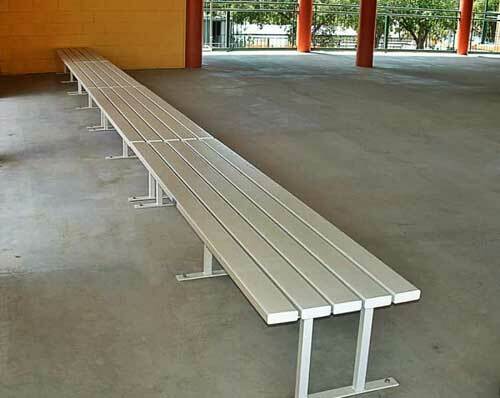 Create a more functional environment for students with our heavy duty bag racks and attractive seating solutions. 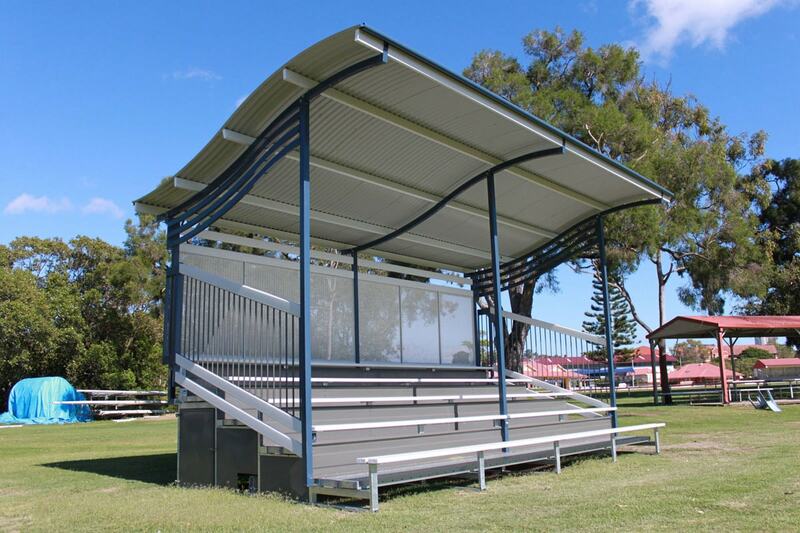 Optimise the experience for players and spectators with our structurally sound and contemporary designs. 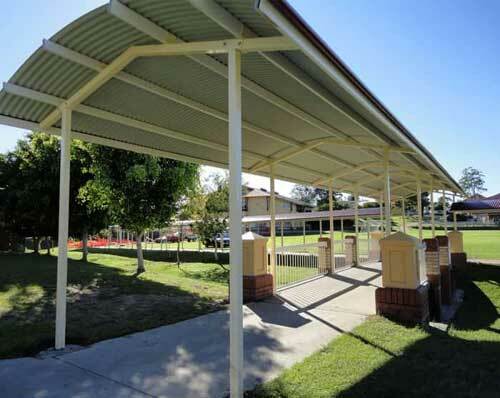 Long life and low maintenance street and park furniture, fencing and shade structures. I cannot speak more highly of the professional approach with which they delivered this service, from planning to post-construction phase. I highly recommend SPR products, not just for their look and functionality but fantastic value for money. 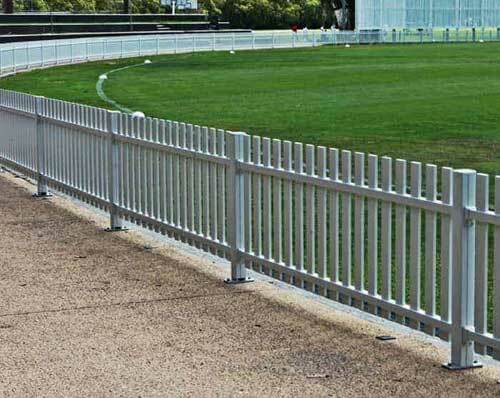 Steel Post and Rail are an amazing company to work with, nothing is too much trouble and the product is extremely well made. I recommend SPR to anyone who wishes to build their range of structures. From the outset we were put at ease by their professionalism and the offered expertise on all facets of our project. To our pleasure this has continued beyond the scope of the project.